History comes alive at the Wisconsin Automotive Museum. 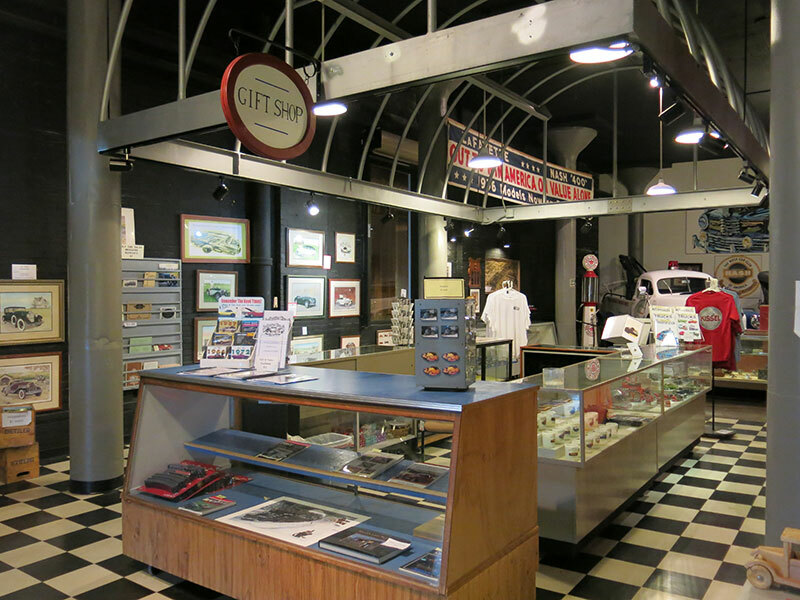 Showcasing transportation history, the museum is Wisconsin’s largest auto museum, featuring an ever-changing display of classic and vintage autos and artifacts plus the largest assembled group of Hartford-built Kissel luxury automobiles. The museum’s striking art deco interior sets off 110+ vehicles on exhibit, including: Pontiacs, Studebakers, Chevrolets, Kaisers, Fords, and other cars from around the world. 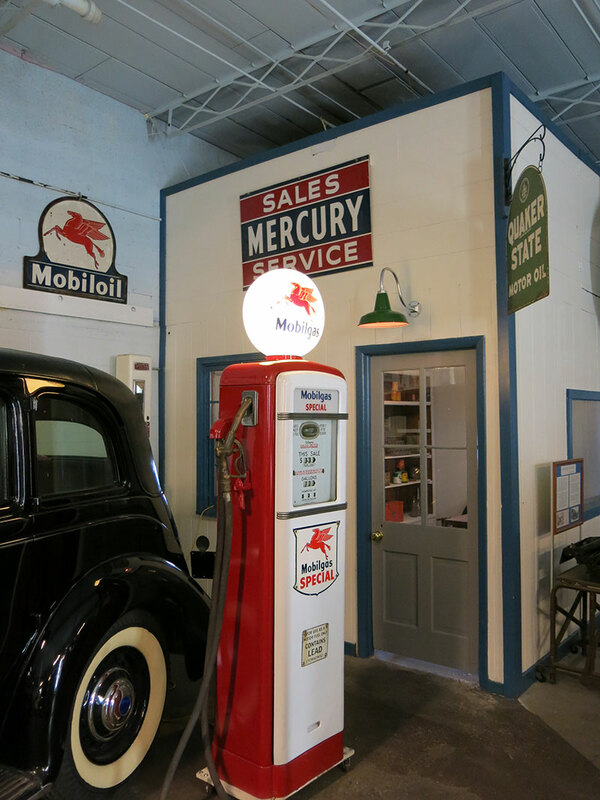 The collection is rounded out by displays of automotive artifacts such as gas pumps, signs, license plates, oil cans and other petroliana. 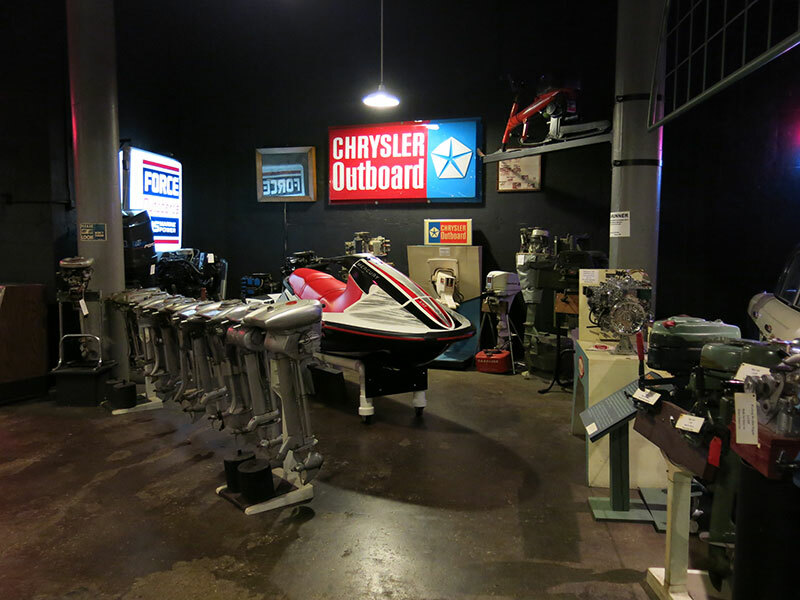 An assortment of outboard engines built in Hartford from 1930s – 1990s are also on display. The high caliber Kissel automobiles were manufactured in Hartford 1906 – 1931, making Kissel the second longest car manufacturer in Wisconsin. Of the 27,000 produced fewer than 150 are known to exist today, with 25 currently exhibited at the museum. The most famous Kissel model was the two passenger Speedster, nicknamed the “Gold Bug.” Gold Bug owners included celebrities of the day such as Amelia Earhart, Mary Pickford, Douglas Fairbanks, Greta Garbo, and Fatty Arbuckle. A wide selection of models including 4 passenger, coupes, touring cars, fire engines and trucks are part of the collection. The Nash Car Club of America has space within the museum dedicated to the Wisconsin based vehicles and related memorabilia. Nash began in Kenosha, Wisconsin when the Thomas B. Jeffery Company was purchased by Charles Nash in 1916. The Hudson Essex Terraplane Historical Society and Southeastern Wisconsin Short Track Hall of Fame also maintain special display areas for their vehicles. The museum is home to and showcases the 1913 #1003 Soo Line steam locomotive along with other railroad artifacts. Next Special Event – Sunday March 24th: 10 am to 2 pm the Southeastern Wisconsin Short Track Hall of Fame will hold its event featuring young racers and go karts. Reduced admission during the event. The Wisconsin Automotive Museum is a unique location for your special occasion. Several options are available for group events at the museum. Contact the museum for more information. Banquet facilities are also available at the adjacent Schauer Arts & Activities Center.